Director of the Max Weber Centre for Advanced Cultural and Social Studies, University of Erfurt, and Professor of Sociology and Social Thought at the University of Chicago. Written by Hans Joas, one of Europe's leading social theorists. Asks how contemporary social and political thought can come to terms with the ongoing proliferation of war and state violence. Draws on a wide range of material, from World War I and Vietnam to the Gulf War and the conflicts in the Balkans. 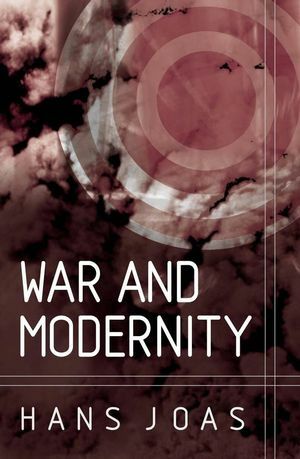 Engages with current debates in the sociology and politics of war and develops a distinctive line of argument concerning the role of warfare in modern societies. Aligns himself with figures such as Giddens and Mann in the attempt to establish a new and non-functionalist theory of social change.